JUVÉDERM® is one of the most recent hyaluronic acid fillers approved by the FDA. 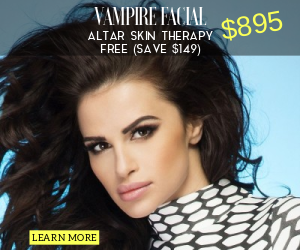 This treatment helps to fill aging lines and wrinkles, enhances the lip border, size, and shape of the lips, and minimizes the appearance of some acne and surgical scars. JUVÉDERM® temporarily adds volume to facial tissue and restores a smoother appearance to the face. Is there more than one Juvéderm® treatment? JUVÉDERM® offers two treatments to choose from. This provides the advantage of having treatment choices for everything from modest lines around the mouth to more prominent wrinkles and lip augmentation. Most patients need one treatment to achieve optimal wrinkle smoothing. Just one treatment could smooth your lines and wrinkles for up to 1 year.